Below you can view all the homes for sale in the Laurelwood Spring Valley subdivision located in Las Vegas Nevada. Listings in Laurelwood Spring Valley are updated daily from data we receive from the Las Vegas multiple listing service. To learn more about any of these homes or to receive custom notifications when a new property is listed for sale in Laurelwood Spring Valley, give us a call at 702-323-5933. WOW*PAID OFF SOLAR PANELS*EXTREMELY LOW POWER BILLS*Complete Remodeled Home*New Kitchen*New Quartz Slab Countertops*New Custom Cabinets*New Carpet*New BaseBoards*New WIndow Coverings*New 2 Tone Paint*New Designer Lighting and Fixtures*New Woodlike Custom Tiled Floors*Fireplace*Covered Patio*Gardening Beds*Buyer To Verify All Info* MLS#2086683. LIFE Realty. Come quick won't last long MLS#2085095. ASF Realty. Walk through a private garden filled with fruit trees, privacy and exclusivity. MLS#2083587. BHHS Nevada Properties. 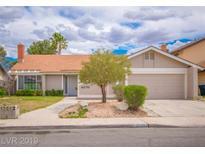 Great Location Near School, Shopping, Freeway Acces, Parks And Las Vegas Strip! MLS#2083076. BHHS Nevada Properties. Ready To Move In. Must See. MLS#2080294. The International Team. Master bath/ Kitchen recent remodeled make this a well maintained residence * Welcome home to your new home and the neighborhood MLS#2078511. Harmonic Realty. New decorative exterior wall on RV side yard of back yard. Newer Roof/AC unit. MLS#2076961. Nationwide Realty LLC. Swimming pool and spa in backyard! MLS#2074245. Nationwide Realty LLC. Very nice feel flows throughout this home! MLS#2061491. Elite Realty. With new A/C, new insulation throughout, new and upgraded master bathroom, new windows in several rooms, ceiling fans, recessed can lights, solar panels and very specious backyard. MLS#2059339. HomeSmart Encore. Centrally located by Torrey Pines dr and West Flamingo st. MLS#2059053. Keller Williams Realty Las Vegas. Bright and beautiful, this is the nicest home in the neighborhood. MLS#2054536. Simply Vegas.